One of the stories that hasn't been yet been told about give aid direct is the fact it would not be in existence if it were not for mentors and trustees. Many times over the past year, I have felt like giving up and often come close to doing so - I hit walls that I didn't know how to climb or go around; I lacked skills, so many skills, to do things that needed to be done. Gary, my mentor, often would listen and then ask a question from a different angle shedding new light on a challenge or more often, he'd simply encourage me to stop for a moment and breathe. He was good at reminding me that the majority of the pressure I was feeling was self-inflicted and therefore I could deal with it. He also continues to remind me I don't need to do everything, but rather be the conductor of the orchestra. Thanks Gary. In the past few weeks, Gary and I have had a number of meetings with Duncan to discuss how we register Give Aid Direct as a charity in the UK. While Duncan has not started a charity before, he has been on many boards of charities, trusts, and foundations. After every meeting with Duncan, I always find myself deeply grateful for his kindness and wisdom. The sheer amount of paperwork you need to read, forms to fill out, and things to check, double-check, ensure, confirm, etc. is massive - I often marvel at the fact that so many charities exist! But they likely exist due to people like Duncan who has been patiently walking Gary and I through the halls of the charity registration. I owe a huge thanks to you, Duncan for your patience and persistence. Recently, I was walking through the Johannesburg airport where I read an old African proverb - "if you want to go fast, go alone, if you want to go far, go together." I've tended to go alone as I get impatient and want things done now, however it has often landed me in me in more frustration. In my attempt to bring Give Aid Direct to life, going together with Gary, Duncan, and many others has certainly resulted in going further than I would have ever achieved on my own. 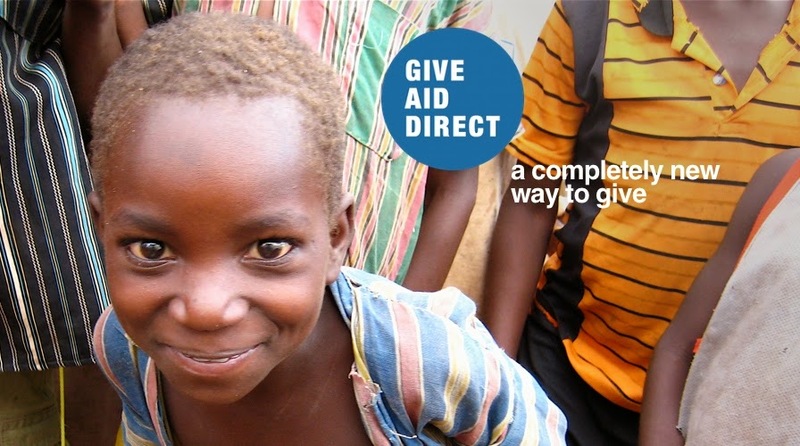 Thanks to you both Gary and Duncan - without you, Give Aid Direct would have been buried a long time ago.